Picture the scene: children laughing with pleasure as they learn how to canoe; adults smiling and chatting round a cafe table. To the onlooker there may seem nothing unusual in such simple social pleasures. But let’s take a closer look at the latest stories on the Wall of Success. 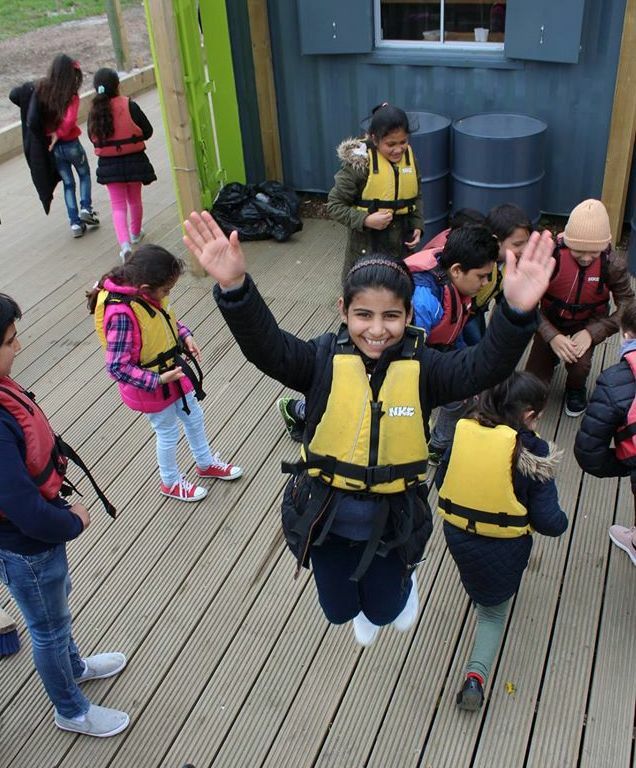 The children in canoes are part of the Safe Haven – a new pilot project run by Multi-Cultural Family Base (MCFB) working with refugee children from countries such as Syria, offering therapeutic support while they adjust to a new life in Edinburgh. Their spontaneous enthusiasm for play is a triumph of human nature. 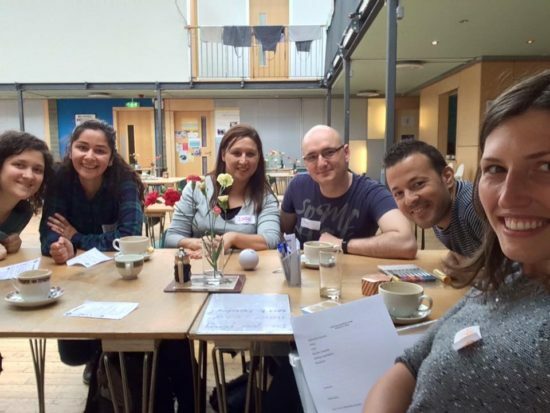 The adults in the café are taking part in Feniks Conversation Cafes – weekly gatherings aiming to create a safe and inclusive space for people from many ethnic backgrounds to make new friends. Here too, simple social activities create a sense of belonging. Safety and belonging are key words in the work of two remarkable charities providing essential social support and services for people of all ages. In the most culturally diverse part of Edinburgh such work is increasingly important at a time of heightened uncertainty and social tension. The Safe Haven is just one of a wide range of projects organised by MCFB working with children and families to overcome trauma or stress of different life experiences. You have only to look at their website and Facebook page to see how much they achieve. Each project begins as an experimental pilot based on a careful assessment of the needs of children and their families. Group work is especially valued as a way of nurturing a sense of belonging and community. There are crucial stress points – The Banyan Project, funded by Comic Relief, works with Black and Minority Ethnic young people affected by past or present domestic abuse. But change can bring challenges in every family. We work to support children and parents dealing with important transition points- this can be the birth of a child, the move into primary school or the move to Edinburgh for families who are new migrants. We help children and families deal with issues of identity, loss, displacement and trauma. Feniks was set up in 2007 as a charity ‘supporting integration and aiming at improving the wellbeing of the Central Eastern European Community in Edinburgh’. A sense of isolation is often the biggest challenge facing new comers and Brexit has added new layers of anxiety and uncertainty. Earlier this year Feniks made the news(‘EU nationals feel safer in Scotland’) with a national survey which indicated that EU nationals were more likely to feel safe and welcome in Scotland (90.6% of respondents) compared with England (82.9%). [You can download the Feniks Report HERE). Yet even without the upheaval of Brexit, adjusting to life in a new country can bring many challenges. Mental health and depression are serious aspects of Fenik’s counselling and personal development services. The high suicide rate of Polish people in Scotland led in 2015 to the Look Around-See Me mental health project in Edinburgh. From toddler’s groups to support for grandparents, to Conversation Cafes, the work of Feniks illustrates the vital importance of making friends and sharing interests at every age and stage of life. 1: Working in nursery schools / primary schools supporting children in the transition to primary one. 2: Group work with school age children, promoting difference and improving race relations. 3: Providing support to children and parents who are new arrivals in Edinburgh. 1: Providing support for younger children with additional support needs. 2. Support children and young people to access mainstream youth provision. 2: Look Around-See me – Polish Community Champions Training to tackle mental health stigma and promote help seeking within Polish Community in Edinburgh. The project was called in response to the high suicide rate among Polish people in Scotland. Thirty Champions underwent a 6-part training, including active listening, assertiveness, Safe Talk and now work with the community. The project is funded by See Me Scotland. Previous Previous post: A Community Manifesto: can we shift the balance of power in Leith?